You’ve played Dungeons and Dragons since you can remember, you’ve rolled enough dice to fill a landfill with plastic polyhedrons and you have a library of character sheets at your disposal. Hundreds of dragons slain, hundreds of dungeons plundered, so what now? Sure, you could always start fresh, return to Dungeons and Dragons anew, but what if you want something different? It’s 2018. there are innumerable role playing games outside of Dungeons and Dragons, an amount that I could never even dream of capturing even a fraction of the possibilities in a single blog post. Instead, I will share just three, that I really like. 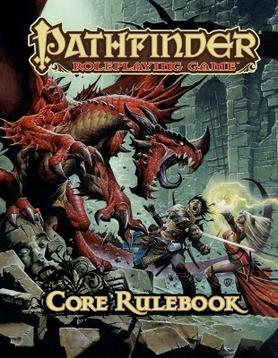 For those who want something different, but not too different, Paizo Publishing offers the Pathfinder Roleplaying Game is the perfect choice. 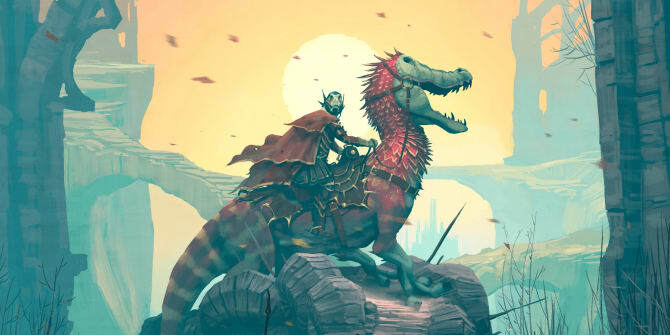 Based on the 3.5 edition of Dungeons and Dragons, Pathfinder could be seen as a more “advanced” version of Dungeons and Dragons. While not perfectly analogous, especially considering the major simplifications made to Fifth Edition, Pathfinder offers a rather similar experience in both tone and concepts. Unfortunately, this comes at a cost. It gets complicated very quickly as you start adding more and more of the supplemental books. Pages and pages of different options quickly becomes overwhelming. Add to that the amount of math involved in creating characters, it can become a chore to develop characters. This is alleviated with experience, veteran players can move through this process with ease. That said, it can be exhausting to teach new players the ins-and-outs of the system. Hopefully, with the upcoming release of the second edition, much of this will be alleviated, but only I am only cautiously optimistic. Savage Worlds is quite different from Dungeons and Dragons. 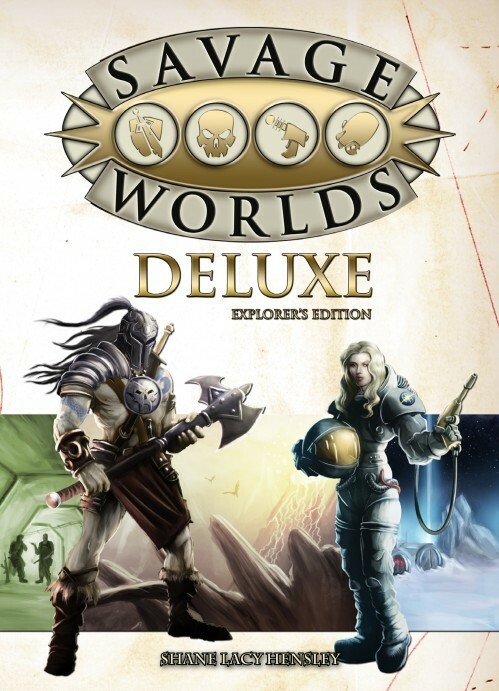 Firstly, the system is not developed with any specific setting in mind, and there are tons of options available for truly unique settings outside of the fantasy adventures of Dungeons and Dragons. Some choice examples of setting include Necessary Evil (a super-powered world in which supervillians must work together to save the world), Deadlands Reloaded (a world of horror and cowboys set in an alternate history of the Old West), and The Day After Ragnarok (an insane setting involving the Nazis summoning the Midgard Serpent and the apocalyptic aftermath). In addition to its variety of unique and inspired settings, Savage Worlds is just fun. Instead of focusing on intensely tracking the minute details, Savage Worlds emphasizes its quick action, hand-waving the minor, unimportant details. Coming from mechanic intense systems like Dungeons and Dragons and Pathfinder, Savage Worlds offers a sweet relief. Savage Worlds is not without faults, the combat is quick but swingy, with fights ending prematurely and anticlimactically. This can be alleviated by avoiding fights with a single enemy and instead creating creative boss battles with minions to absorb attacks (although nothing is stopping one of those minions instantly wiping out a player unfortunately). Furthermore, characters can feel very similar at higher levels, but this can be avoided with some creative game-master intervention, creating unique options for the players. Later this month, Pinnacle Entertainment Group will be launching the Kickstarter campaign for their Savage Worlds: Adventure Edition adding and refining many features of the game. I cannot wait to see what’s to come and definitely plan on backing it. Admittedly, I have not had a chance to play Forbidden Lands yet. Developed by the Swedish publisher Free League Publishing, Forbidden Lands completed its successful Kickstarter crowd-funding campaign October 2017. It beat its goal of raising SEK 100,000 ($11,250) by over SEK 2,000,000 (Over $225,000). I backed this game because I really liked their previous titles including Mutant Year Zero and Mutant Genlab Alpha. On August 16th I received my digital copy of the game with the physical box set forthcoming in a few weeks and I have been hooked. Set in a brutal fantasy world where adventurers must fight tooth and nail to survive, Forbidden Lands stands separate from the fantasy offered in Dungeons and Dragons. Whether you’re hunting for food, exploring ruins, or fending off horrid demons, Forbidden Lands presents a dangerous world where success is far from guaranteed. I am excited to get to play this soon, and am disappointed I’m not playing it currently. The writing is excellent in both of the core rule books and inthe supplemental books Raven’s Purge and The Spire of Quetzal. The world of Forbidden Lands is as visceral as it is brutal, and I cannot wait to throw my players into the wilderness to fend for themselves. The complete set offers an easy to run system with plenty of tools to make the game master’s job as easy as possible. This is good, because I worry that there is a lot of nit-picky mechanics such as food, water, and other resources to track that could bog down the game. That said, I am very optimistic about this game and look forward to giving it a whirl. These games represent a minuscule fraction of the available games out there, but these offer a decent variety of the choices out there to help you get out of only ever playing Dungeons and Dragons. Because while Dungeons and Dragons is an awesome game with unlimited potential for fun, there are so many amazing games out there worth playing. Leave a comment sharing your favorite role-playing games!